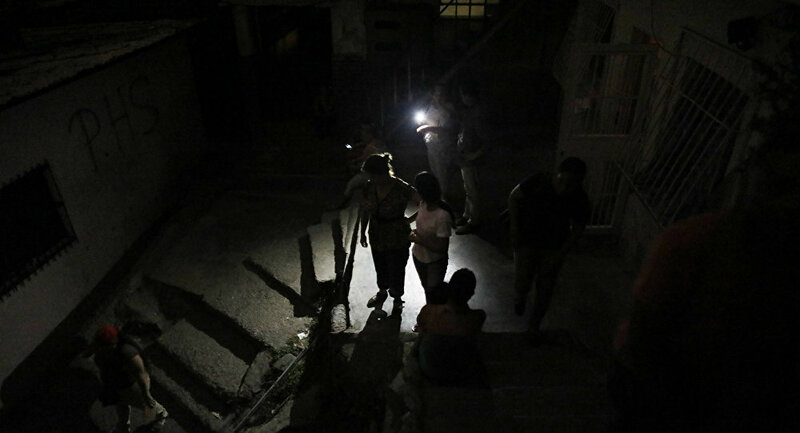 CARACAS (Sputnik) - A massive power outage occurred again in various parts of the Venezuelan capital of Caracas and nearby localities, eyewitnesses of the incident told Sputnik on Monday. The causes of the latest blackout are still unknown. However, a number of media outlets cite an explosion, which allegedly occurred at an electrical substation in the industrial area of ​​Cloris east of Caracas, as a possible cause. The Venezuelan authorities have not yet commented on these reports. On March 7, a massive power outage swept through the majority of Venezuelan states, leaving the nation — over 30 million people — without access to basic amenities, including water and medical care at hospitals. National electricity supplier Corpoelec insisted that the blackout was the result of sabotage at the major Guri hydroelectric power plant in the country's east. Maduro has pinned the blame for the crisis on the United States, while Washington has denied having a role in the blackout. On Wednesday, Venezuelan Communications Minister Jorge Rodriguez said that power had been fully restored across Venezuela.